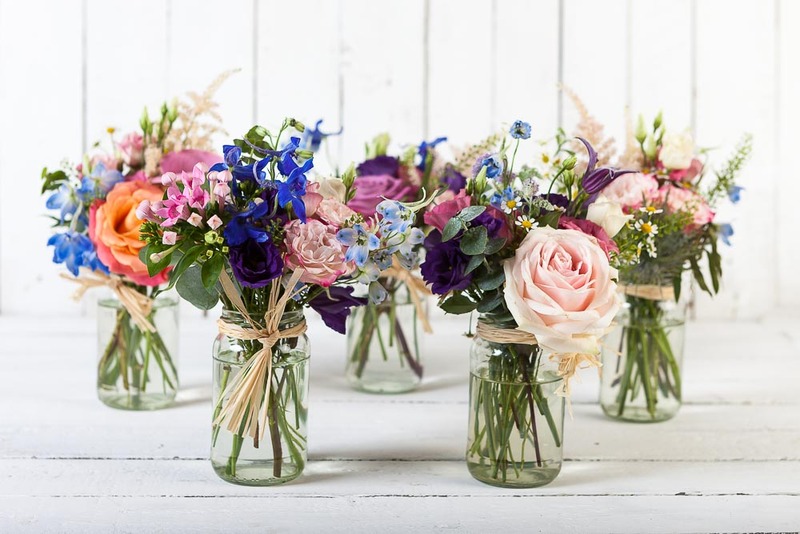 Ask your family and friends to collect jars and pretty them up with sprigs of garden blooms and ribbons. If you want to display taller sprays of flowers such as delphiniums and stocks, try pairing them with enamel jugs or milk churns. Don’t wait until your honeymoon to enjoy the beach when the summer has come. Hire a village hall, or an old maritime museum, or even marry right on the sand, nothing is impossible. Just plan for a beach wedding right now! Give your wedding ceremony all the fun with fete-inspired games like hook a duck or carousel rides. Set up a comfortable area for your guests to relax in after the wedding breakfast. Fill it with color co-ordinated striped deck chairs that are perfectly placed to watch all the action. It turns out that you will make the most of your chance to enjoy al fresco elements, so why not set up some rustic signs to direct your guests to reach the best place for drinking, dining, or dancing? When it comes to indoor and outdoor wedding venues, tipi venue seems to offer the best choice because its sides can be opened up to reveal the outside, making them perfect for the summer wedding. You will want to stream as much sunshine as possible on your wedding day. Make sure your wedding venue has parasols ready to provide shade. Filled with light, juicy berries, and fluffy buttercream, it is ideal for the summer season to use the naked wedding cake. Just make sure it is positioned out of the sun to prevent the buttercream from melting. Sweet peas are small but beautifully scented, coming in a range of hues, from pastels to brights. Use them to decorate your wedding for a whimsical style that smells divine. These are the must-have item of any summer country wedding! Peg them into the ground to mark out pathways and hang dainty jars containing mismatched flowers or candles from them to create a pretty effect. Embrace the al fresco atmosphere in your summer wedding by introducing tulle drapes to create an airy feel for your venue.